How can IT resource over-utilization be avoided? IT resources subjected to high volumes of concurrent usage can suffer degraded performance, reduced availability and reliability, and can become susceptible to overall failure. The IT resource is horizontally scaled and a load balancing system is used to distribute runtime workloads across multiple IT resources. Load balancing technology is incorporated into the cloud architecture and configured with appropriate load balancing algorithms to ensure effective workload distribution. 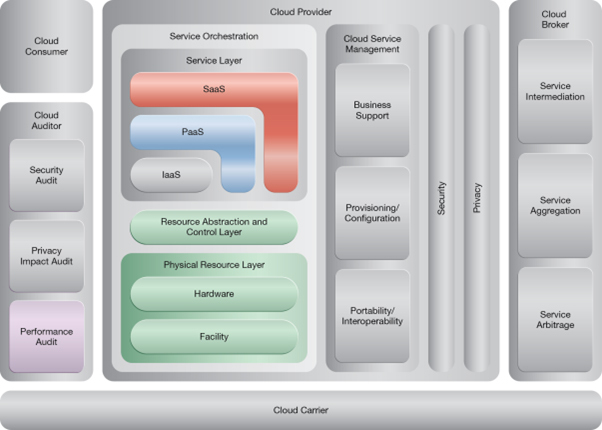 A redundant copy of Cloud Service A is implemented on Virtual Server B. 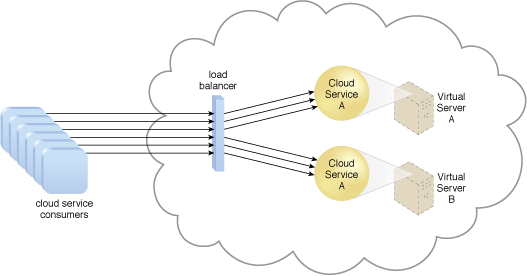 The load balancer intercepts the cloud service consumer requests and directs them to both Virtual Server A and B to ensure even distribution of the workload.